Standard & Poor’s raised AtomEnergoProm’s credit rating to the investment grade level of BBB- with a stable outlook. The short-term rating of AtomEnergoProm was also upgraded to A-3 although it had long stood at BB+. These upgrades are associated with the previously announced improvement in Russia’s sovereign credit rating, which was raised to BBB-. It is the first time ever that AtomEnergoProm has matched the Russian Federation in terms of its creditworthiness. According to S&P, the rating upgrade was supported by the company’s vertically integrated business model, monopoly position on the Russian civil nuclear market, large portfolio of contracts, and financial stability. 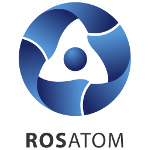 AtomEnergoProm consolidates civil assets of the Russian nuclear industry.